Our Contact Form. Please Answer These Questions For Us. Have you ever experienced paranormal activity? Have you ever see a Shadow Person? Do you believe in Shadow People? Do you believe Big Foot is real? The question is does Bigfoot or Sasquatch exist? I will try to answer that question to the best of my ability. If you take a close look at the photo above you see a red circle there in the photo. 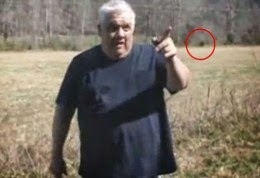 Many people including me now believes that the figure you can see in the photo circled there is a real live Bigfoot and I did not see the creature in the photo when this photo was taken. You may not know it but I am being interviewed there in the photo about my sighting of a Bigfoot a few days before. The people interviewing me there were from the Shelby Star in Shelby North Carolina. If you click through to the page you'll be able to read about my sighting of the Bigfoot and you can look at the videos. I hope you'll check out the story and the videos. I was there on that country road when Bigfoot crossed the road. I know it was a real creature. Over the years I've seen ghosts and other forms of paranormal activity and I'm contacted several times a day by people seeing ghosts or experiencing some form of paranormal activity. Recently I've been seeing more and more shadow people and I really do wonder why. I've noticed more and more reports of people seeing shadow people and it seems to me that there are more shadow people seen now than ever before. Is there a reason that people are seeing more shadow people now than ever before. Are You Experiencing Real Paranormal Activity? People often ask me if they are experiencing real paranormal activity. I ask them what are they seeing or hearing. I often ask them the below questions. 1. What Are They Seeing. Are they really seeing a ghost or experiencing real paranormal activity or is there a logical explanation for what they are seeing. You need to always look for anything that might be creating what you are seeing. Car lights through a window can often create images or shadows they are often mistaken for something else. 2. If doors are opening or closing on their own is it possible that the door is opening or closing when a heater or air conditioner is coming on or going off. 3. If they are hearing sounds in a attic I ask if its possible that the sounds are being caused by a animal. Raccoons and squirrels are often the cause of strange sounds in the attic. All ventilation holes into a attic should be covered with screen to keep bats, birds, squirrels, and raccoons out of the attic. 4. If things in a house are moving on their own the first thing you should do is look for a realistic cause for what is going on. Try everything you can to find a logical reason for what is going on. If you can't find a logical reason for what is going on then you may have real paranormal activity going on. 5. If you think you have real paranormal activity going on in your house you should try to find out the full history of your house and the property around it. You need to do your own research and go back as far as possible. You need to find out everything you can about anyone that died in your house or anyone that lived there and died. In most states now realtors have to tell you if they are selling or renting you a house that is haunted. 6. If you do have paranormal activity going on start keeping a detailed journal about what is going in your house. The more details you write down the better off you will be and you can look back later and see patterns of activity. 7. If you are experiencing real paranormal activity or seeing a ghost or ghosts we would like to hear from you. Just click the below link and email us. Someone will be in touch as soon as possible. In 2001 I and my girlfriend lived in a garage apartment in Newberry South Carolina. 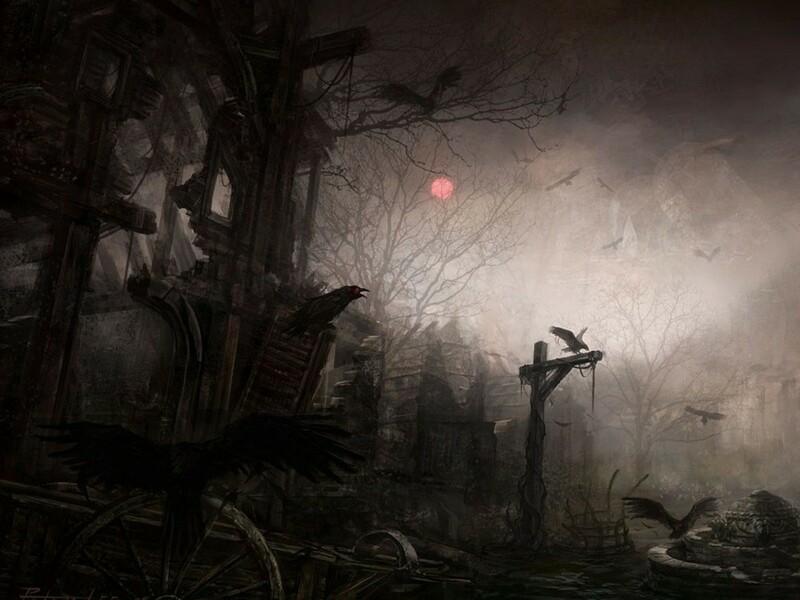 We lived there for most of that summer and I have to say that it was during that time that I went through one of the most unusual paranormal experiences of my life. 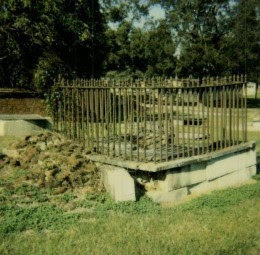 I won't tell you the exact address but I will tell you the apartment was very near to the old cemetery on Boundary Street in Newberry South Carolina. The cemetery is right across the street from the Boundary Street Elementary School. In case you don't know that school and the schools ball field was built on top of what was once the other part of the Boundary Street Cemetery. Over the years students and teachers at the school have told of seeing ghosts and other paranormal activity at the school and on the school grounds. We rented our garage apartment in the spring of 2001 and before that summer was over we had experienced some of the most terrifying paranormal activity that I have ever seen or experienced. Before that summer was over we had experienced all types of paranormal activity including a ghost that washed my girlfriends back and a ghost that attacked her and was the reason for us leaving the apartment forever. I've been around a lot of haunted places and this location was like nothing I have ever seen before. People can claim that orbs are caused by insects and dust and some are. But in the apartment where we lived we would see orbs come in through one window and travel around the three room apartment and then go back out another window. There is no way these orbs could have been anything but real paranormal activity. I hope you'll want to read the entire story of what happened to us during the summer of 2001 in Newberry South Carolina. CLICK HERE to read all the story of The Night The Ghost Got In. If you have paranormal stories or questions just click the below email link and send us a email. We will get back to you as soon as possible. We do answer all emails. Were glad that you've found the National Ghost Information Center. Our mission is to prove the existence of ghosts and the paranormal. My name is Thomas Byers and I've been a Paranormal Investigator now for over forty years. I've personally been seeing ghosts and other paranormal activity now for over fifty years. I remember seeing the first ghost I ever saw at four years of age. We hope to collect ghost and paranormal stories with the goal of proving the existence of ghosts and the paranormal. If you have a story of the paranormal or a ghost story we would like to hear from you. Please take the time to answer the questions about ghosts and the paranormal and submit that information to us. We really would like to hear from you. Just click the below link and send us a email with any question about ghosts or anything paranormal and we will get back to you as soon as possible. Moundsville Penitentiary is one of the most haunted places in the United States. If your looking for a real haunted place then you need to check out the Moundsville Penitentiary.